In the spring of 1892, Emma Goldman, Alexander Berkman, and his cousin, Modest Stein, opened an ice cream shop in Worcester, Massachusetts. "It was spring and not yet warm," Goldman later wrote, "but the coffee I brewed, our sandwiches, and dainty dishes were beginning to be appreciated. Within a short time we were able to invest in a soda-water fountain and some lovely coloured dishes." The entrepreneurs "were dangerously close to economic success," wrote historian Richard Drinnon, "when news reached Worcester of the lockout of workers at Homestead, Pennsylvania," home of the Carnegie Steel Company and its chairman, Henry Clay Frick. In response to declining prices of rolled-steel productis in the early 1890s, Henry Clay Frick, general manager of the Homestead plant owned by Andrew Carnegie, took a series of bold but miscalculated steps to protect the bottom line. In June 1892, he slashed wages, evicted workers from their company houses, stopped negotiating with union leaders, and threatened to bring in the Pinkertons — a detective agency for hire that amounted to a private army of thugs. When workers called a strike, Frick called on the Pinkertons. On July 6, in the middle of the night, 300 Pinkertons crammed onto barges were towed ten miles up the Monongahela River to Homestead. Armed workers were waiting on the river bank. At dawn, a pitched battle broke out. After twelve relentless hours, three Pinkertons and seven strikers lay dead. The man responsible for this carnage had started out life as the humble son of a pious Mennonite father. He worked as a farmhand on his father's farm, and as a bookkeeper in his uncle's store. "Assuredly Frick was called to business if anyone ever was," according to Drinnon. At the age of twenty he formed Frick & Company, a coke-producing venture in the Connellsville coal district of Pennsylvania. Coke is a carbon derivative used in the manufacturing of steel. During a financial panic in 1873, Frick seized the opportunity to buy out competitors and ally himself with Carnegie Steel. By the age of thirty, he had made himself a millionaire. Henry Clay Frick stood for more than just his own success. Following decades of American mechanization, business expansion, and the immigrant-fueled growth of the industrial working class, men like Frick, Carnegie, John D. Rockefeller, James J. Hill, George Pullman and others represented a class of titans. These Gilded Age industrialists — collectively known to history as "robber barons" — employed thousands of workers; received mailbags full of requests for charity; and built ostentatious mansions in places like New York City's Millionaire's Row, and Newport, Rhode Island. To anarchists who witnessed the struggles of working people to survive, a robber baron like Frick was a natural target. Berkman decided to assassinate Frick in revenge for his savage treatment of workers during the Homestead Strike. Posing as an employment agent for strikebreakers, Berkman gained entrance to Frick's office on July 23, 1892. He pointed his revolver at Frick's head and fired. The bullet struck Frick in the shoulder. Berkman lunged at Frick, managing to stab him with a sharpened steel file before being dragged away. Frick stopped a deputy sheriff from shooting Berkman. "I do not think I will die," he gasped, "but whether I do or not, the Company will pursue the same policy, and it will win." Frick did not die. Berkman was sentenced to twenty-two years in prison, of which he served fourteen. Eight years after the attempt on his life, Frick formed the St. Clair Steel Company, which operated the largest coke works in the world. In 1900, Carnegie and Frick locked horns over the price of coke supplied to Carnegie Steel. Frick sued for the market value of his coke and the case was settled out-of-court. A year later, in 1901, Carnegie sold his interest in Carnegie Steel to J. P. Morgan, a move which allowed Morgan to create U.S. Steel. Frick would become its director. In 1905, Frick retired to New York City, with a large collection of art works which he had begun collecting after earning his first wealth. Frick's purchases today form the core of The Frick Collection, sixteen galleries of masterpieces by Western artists including Vermeer, Rembrandt, El Greco, Titian, and Bellini, housed in his former mansion at 79th and Fifth Avenue. 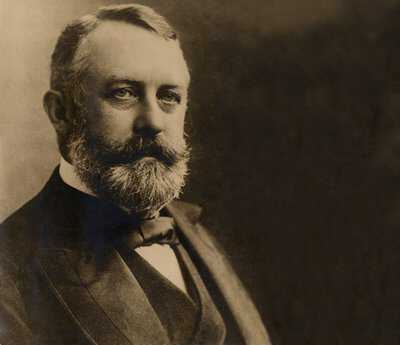 Henry Clay Frick died on December 2, 1919, at the age of seventy. 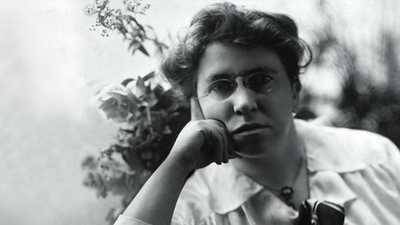 That evening, Emma Goldman and Alexander Berkman were attending a farewell banquet in Chicago, their last whirlwind tour before being expelled from the country. At dinner, a young reporter approached Berkman with news of Frick's death and asked him what he had to say about the man. Thinking about his own impending departure from the U.S., Berkman dryly replied that Frick had been "deported by God. I'm glad he left the country before me." 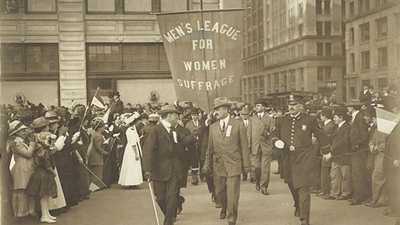 Writer and editor of the radical journals The Masses and The Liberator, Max Eastman was a journalist's journalist. For more than thirty years, she defined the limits of dissent and free speech in Progressive Era America. 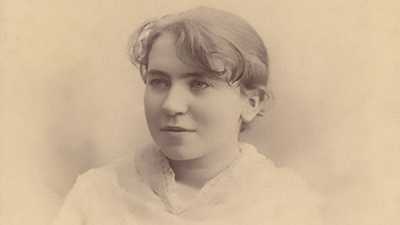 In the early twentieth century, anarchist Emma Goldman became the celebrated spokesperson of the free love cause.